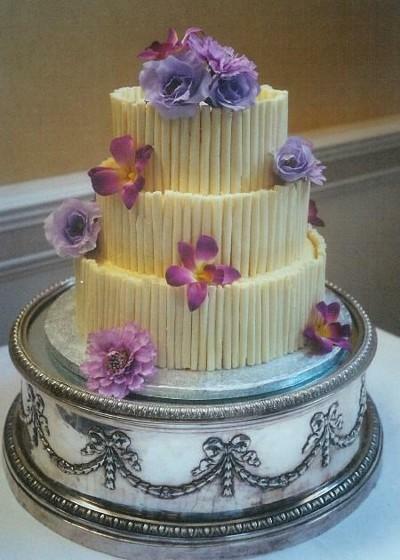 Presenting our special offer budget chocolate wedding cake, a beautiful three tier cake for only £249. Three tiers of delicious chocolate fudge cake, covered in real belgian chocolate and finished with best quality belgian white chocoloate curls . Included in the price is free local delivery.